John 4:24 tells us that God requires that we worship Him in spirit. In various centuries, physical temples were built in earthly Jerusalem. But in the New Testament Jesus is the reality; He is the living temple. In resurrection He brought all His believers into this reality, this living temple. 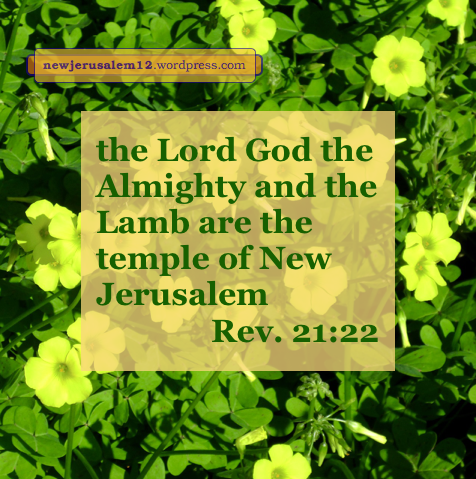 In Revelation 21:22 John says, “I saw no temple in it [New Jerusalem], for the Lord God the Almighty and the Lamb are its temple.” Certainly this is a living temple! 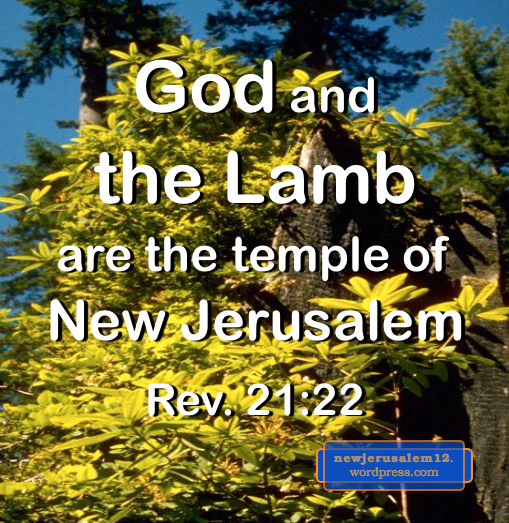 We do not need an earthly, physical temple, for today and in New Jerusalem we worship God in God. Worship is no longer defined by a physical building. To worship in our human spirit, born of God the Spirit, is to worship in the living temple. In resurrection, as regenerated people, we are one spirit with the Lord (1 Cor. 6:17). Our worship of God in spirit, in the living temple, is in the Person of God, who is Spirit. 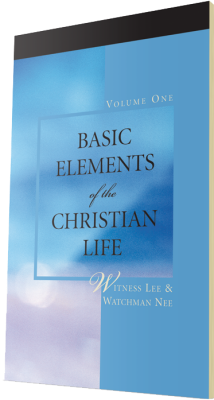 The regeneration of our human spirit and the Lord being with us in our spirit, distinguish the New Testament from the Old Testament. In the New Testament reality the location is spirit instead of the physical Jerusalem. In the New Testament reality the temple is living and the worship is living. This pattern will continue into New Jerusalem. John the apostle, speaking about New Jerusalem, tells us, “I saw no temple in it, for the Lord God the Almighty and the Lamb are its temple” (Rev. 21:22). There is no physical temple, no material “house of worship,” no “going to church,” in New Jerusalem. In this wonderful city we will worship God in God and the Lamb. Our priestly service to God will be in God and the Lamb. 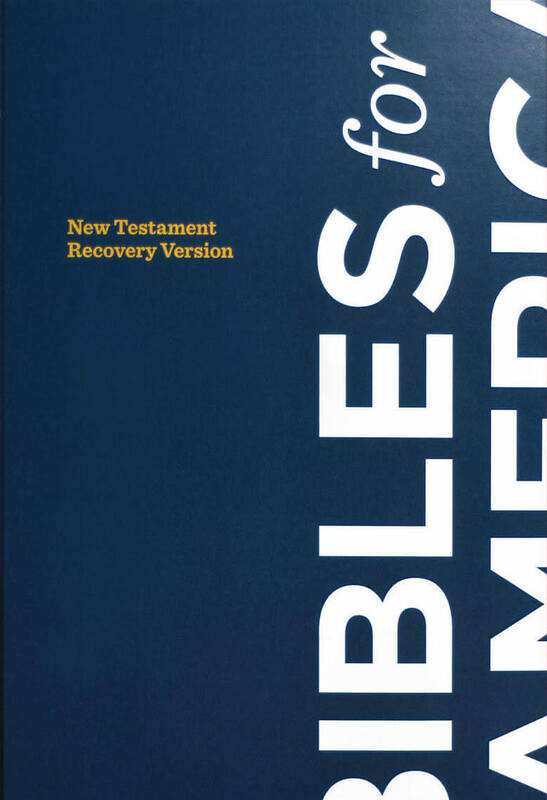 Worshipping and serving God in God and the Lamb is a principle in the entire New Testament. The Lord Jesus first revealed this in John 4. The Samaritan woman asked whether the mountain of Samaria or Jerusalem is the proper place to worship. The Lord answered “an hour is coming when neither in this mountain nor in Jerusalem will you worship the Father” (v. 21). He continued, “An hour is coming, and it is now, when the true worshippers will worship the Father in spirit and truthfulness, for the Father also seeks such to worship Him. God is Spirit, and those who worship Him must worship in spirit and truthfulness” (v. 23-24). “An hour is coming” points to the Lord’s resurrection. That “hour” is when the resurrected Lord breathed into His disciples and said, “Receive the Holy Spirit” (John 20:22). From that time we worship in spirit. And we will continue to do so in New Jerusalem. Yes, Christians should gather together (in small or large numbers) for our priestly service to God. But the physical location is not important; it could be outside or in a home or in another building. The important matter is to worship in spirit. God is spirit and our worship in spirit is in oneness with Him. In New Jerusalem we will all be together in resurrection and will have no need of a physical location. There we will all worship God and the Lamb in the city’s temple, the Lord God the Almighty and the Lamb. Revelation 22:3b says, “the throne of God and of the Lamb will be in it [New Jerusalem], and His slaves will serve Him.” Looking at our service now gives us insight into how we will serve in New Jerusalem. The foundation of our serving is what Jesus Christ accomplished in His death and resurrection. He “released us from our sins by His blood and made us a kingdom, priests to His God and Father” (Rev. 1:5-6). Hebrews 9:14 also links the blood of Jesus and our serving, “How much more will the blood of Christ, who through the eternal Spirit offered Himself without blemish to God, purify our conscience from dead works to serve the living God? Part of Revelation 7:14-15 is “they have washed their robes and made them white in the blood of the Lamb. Because of this they are before the throne of God and serve Him day and night in His temple.” The washing of our robes, our conduct, is by receiving the forgiveness of sins accomplished by Jesus Christ. This washing of sins has two stages. One is by our repenting at the initial time of our salvation. The other is throughout our Christian life by our confessing of sins for His cleansing (1 John 1:9). The first brings us before the throne and the second keeps us before the throne so that we may serve God—both now and in New Jerusalem. 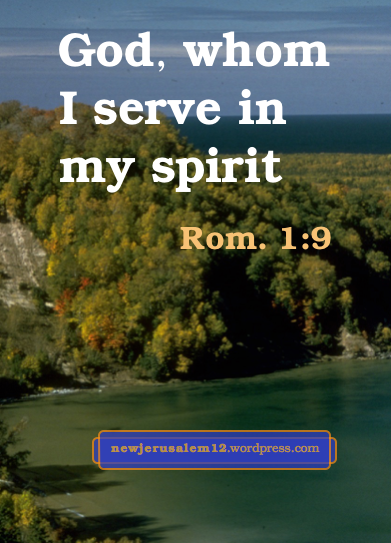 In Romans 1:9 Paul says, “God is my witness, whom I serve in my spirit…” In Philippians 3:3 we “…serve by the Spirit of God…” Serving as priests must be in the Spirit with our human spirit. Without this mingled spirit, whatever we do is not serving God as a priest. In John 4:24 Jesus says, “God is Spirit, and those who worship Him must worship in spirit and truthfulness.” There is no serving God in worship without the mingled spirit. Our serving now, and in New Jerusalem, is based on redemption and in spirit. There are three New Testament Greek words often translated “serve.” The word in Revelation 22 means to serve as a priest, to serve in worship of God. To get a better grasp of verse 22:3, let’s look at other verses with this same word. In Matthew 4:10 Jesus quotes Deuteronomy 6:13, “You shall worship the Lord your God, and Him only shall you serve.” Here worship and serving are linked, and restricted by “only.” This quotation surely matches what we will do in New Jerusalem. In Acts 7:7 Stephen speaks about God’s actions with Israel. In verse 7 he said repeated God’s word, “After these things [slavery in Egypt] they will come forth and serve Me as priests in this place.” God’s desire was that the whole nation serve as priests. This was thwarted by their worship of the golden calf and only the house of Aaron served as priests. The redemption and resurrection of Jesus Christ brought us back to God’s desire. He “released us from our sins by His blood and made us a kingdom, priests to His God and Father” (Rev. 1:5-6). This action is for this age, the coming age, and eternity. The accomplishments of Jesus Christ in His death and resurrection point to New Jerusalem. In Acts 24:14 and 27:23 Paul declares that he serves God. He was serving and we too should serve, based on the Lord having made us priests to His and our God and Father. Whether I serve or not is not based on how I feel but on the Lord’s doing. More on this in the next post; may we experience this from now unto New Jerusalem.